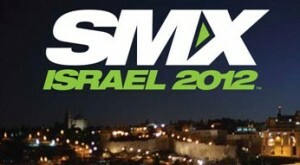 I was lucky enough to get to speak at SMX Israel, which took place on Sunday. I’ve long been keen to get out here as for a couple of years now I’ve been following and speaking (via twitter and Facebook) to a number of SEO and online marketing professionalst here in Israel, so was thrilled to finally get the chance to come and meet some friends face to face; and get to know some new people. I’d always got a sense of a highly engaged, extremely adept SEO community in Israel however I was bowled over by everything. 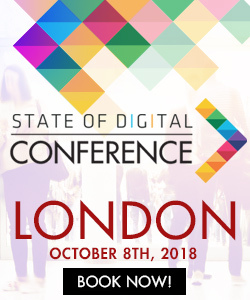 Hospitality, conference venue, levels of professionalism and enthusiasm from every single attendee; and I have to say that at every session I attended the level of content from my fellow speakers was of the highest quality and variety. Our host for the event, Barry Schwartz of RustyBrick, kicked off with a presentation that chronicled the history of Google updates from as far back as 2003. It’s important to understand “there are three types of update, algo, data and index.” It was interesting when seeing the history of different updates, and the observed behaviour and impact to the SERPS in a tight chronology like this, it gives a definite feeling of a progression. Eli Feldblum of RankAbove then took over to talk more specifically about the Panda update, looking at observations and recovery strategies that they had either used, or seen employed by other sites. One of the main points Eli made was that this update placed a lot of credence on human, qualitative factors at the initial input stage with page design, speed and trustworthiness rated by human editors and used to inform machine-learned benchmarks. “Now every page needs a raison d’etre; and I’m not talking about ‘I’ve found a niche keyword'”. The reason needs to be valid to the user. In particular, Eli talked about multimedia content as being very useful for improving page-level content inherent to content-based recovery strategies. 7. Deep analysis of control group. Our next speaker was Gil Reich, of Managing Greatness; who had a rather interestingly titled presentation “Snuffleupagus, Godzilla and the Future of Search success”. Gil has published his presentation on slideshare and in addition has published a blog post that explains the narrative. Gil looks at the evolution of Google search product in context, with a focus on “SPYW” (Search Plus Your World), with the main point being that there’s a clear directionality and those that can not see this directionality, will fall by the wayside as social content becomes integral to results and quality can be determined much more effectively both algorithmically and with human input. Two particular soundbites that resonated with me where “don’t try to rank where you can’t deliver” and “fix or kill your worst pages”. What I suspect Gil means by “fix or kill”, is similar to the perspective delivered by Eli of RankAbove; in that the page needs a “reason to be”. A page needs to deliver quality to users and if that can’t be done satisfactorily, then accept that you “can’t deliver” and kill that page. Final speaker of the day was Aviv Manoach, of Universal McCann, who was looking more at the greater credence afforded to freshness of content. In his presentation “New is Always Better” Aviv talked about separating “push” and “pull” strategies for fresh-content planning and scheduling. “Push” strategies can be through of as a traditional editorial calendar, that anyone with experience in publishing will be familiar to working with. 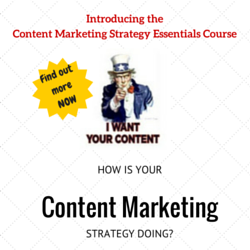 Push strategies would seek to evolve content around upcoming events and seasonal activities. Pull strategies can be thought of more as working with what great content you may already have, and giving this a freshness boost. Examples might be updating older blog posts with additional perspectives that can come about from evolving debate around a topic. Nichola Stott is owner and co-founder of theMediaFlow; online revenue optimisation and audience services (including SEO, SEM and SMM). Prior to founding theMediaFlow, Nichola spent four years at Yahoo! as head of UK commercial search partners. New Allegations: Is Google Trying to Kill Themselves? Wow, thanks a lot for the mention. I’ve been reading this blog for a long time (it one of my favorite search-industry sites), and its an honor to be included. I hope that my work will help people better plan out how to put new content on their site and make long term updating plans. Each of us expects major updates in 2012, nobody knows what’s going to happen next in the Google panda update. we all know Google is governing control over it to give surprises to users, how we consider it as an ethical approach by Google, they are banning others for the same thing.